#1 Choose funding sources whose interests and priorities are a good match with your organization’s programs and clients served. If possible, call or email the funding source to gauge their interest in what you want to propose for funding. #2 Do your research on what foundations are funding by reviewing their 990’s. #3 Develop an annual organizational budget that shows source and use of funds. Where are revenues expected to come from? Develop balanced budget to show fiscal soundness and good planning. Demonstrates that CLIENTS – not staff- are recipients of majority of funds. Show your work! Show how line item expenses were calculated. #7 Establish program outcomes that measure actual changes (improvement or decline for clients served). Funders want more than quantity served (process); they want measurable outcomes that make sense. While not necessary, grant funders look at the organization at a whole – if the people closest to the organization aren’t advocates and don’t believe in the mission, they’ll ask why. 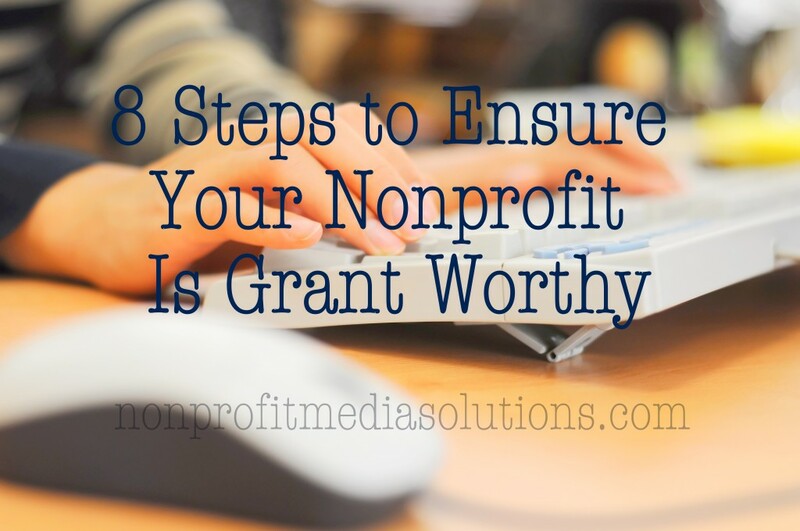 Follow this 8 step checklist to determine your readiness and worthiness for the grant process. You’ll be good to go! Still need more? Don’t worry, we’ll be writing again soon about what grant funders look for, what you can do if your proposal isn’t funded and tools for your entire staff. Questions? We’re always here to help, Email Us and we’ll get back to you lickety-split.